Unfortunately I've never had the chance to smell the original version of Bandit, but I can say this reformulation is still HUGE! A majestic striaghtforward bitter leather chypre and one of the few in the genre to absolutely stand out for its severe charm. 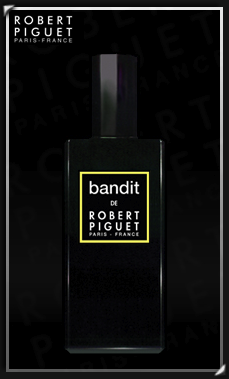 It opens with a bold and strong animalic note that dominates the whole scent throughout. Green notes, white flowers and woods, joined by slight spices in the drydown, soften (a bit) the general harshness and severity. A perfect creation, unique and surely a trendsetter in the leather/chypre genre. Bandit is a serious contendant to other masterpieces of the same family such as Knize Ten or Cuir De Russie but where the latters strike as luxurious and enveloping, the former is definitely among the most severe and "cold" compositions available on the market. A masterpiece and an all time favorite. A must try for anybody! I like that this because somewhat softer/floral somewhere in the middle. If Bandit, were to become a real bandit, it would be called Gomma.